NCD Child, a global coalition championing the rights and needs of children, adolescents and youth who are living with Non-Communicable Diseases (NCDs) will host its 2014 Conference in Trinidad in March. The organization works to ensure that issues related to NCDs, children, adolescents and youth are effectively addressed and prioritized in global and national policies, programmes and development agendas. The 2014 NCD Child Conference will take place this year at the Hyatt Regency in Port of Spain, Trinidad, March 20th-21st. The conference aims to further develop a vibrant platform for interaction, knowledge exchange and networking. It will build on the achievements of our 2012 NCD Child Conference to ensure the needs of children, adolescents and youth are a priority focus within the context of NCD action and the post 2015 agenda. Speakers include Sir George Alleyne, Dr. Fuad Khan and Sir Trevor Hassell. A native of Barbados, Sir George Alleyne became Director of the Pan American Sanitary Bureau (PASB), Regional Office of the World Health Organization (WHO) on 1 February 1995 and completed a second four-year term on 31 January 2003. In 2003 he was elected Director Emeritus of the PASB. From February 2003 until December 2010 he was the UN Secretary General’s Special Envoy for HIV/AIDS in the Caribbean. In October 2003 he was appointed Chancellor of the University of the West Indies. He currently holds an Adjunct professorship on the Bloomberg School of Public Health, Johns Hopkins University. Sir Trevor Hassell is Adjunct Professor of Medicine, University of the West Indies, Barbados, and Honorary Consultant Physician and Cardiologist, Queen Elizabeth Hospital, Barbados. He is Chairman of the National Commission for Chronic Non Communicable Diseases. He is also President of the Healthy Caribbean Coalition: a civil society network for combating chronic diseases, and Chairman of the Advisory Committee of the Chronic Disease Research Centre, UWI. 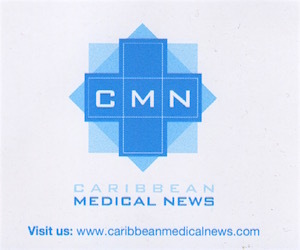 Sir Trevor has held posts that include Vice President of the World Heart Federation, President of the Inter-American Heart Foundation, and President, Caribbean Cardiac Society; and recently Barbados Special Envoy for Chronic Diseases. Currently serving as the Minister of Health of the Republic Trinidad and Tobago, Dr. Fuad Khan has been a medical doctor for the past 30 years. Specializing in the field of urology, Dr. Khan received his medical degree from the University of the West Indies after obtaining his bachelor’s degree from Dalhousie University in Nova Scotia, Canada.